With a keen intuitive sense combined with down-to-earth practicality, Angela shares insight and guidance for immediate answers you can implement right away during private 1:1 coaching sessions and intuitive readings. Angela hosts multiple groups of like-minded women that will love you up, AND help you set goals--and accomplish them--so that you can finally build a business that generates income while making a difference in the world. Online and in-person workshops and courses to help you increase your income, feed your soul, and rock the world while doing it. 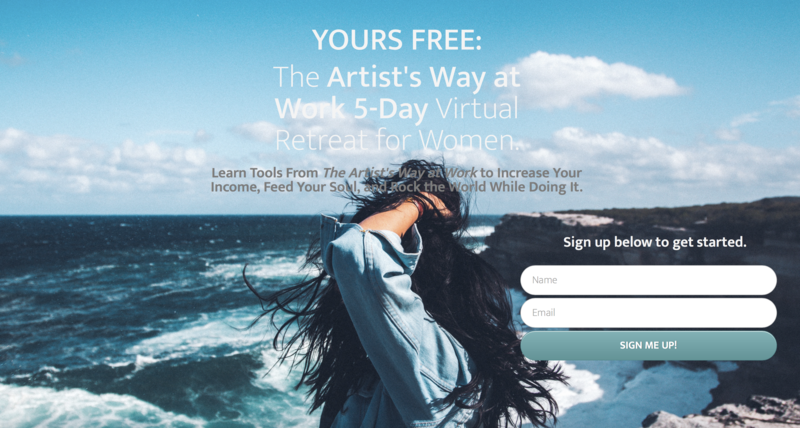 Transformational experiences including The Soulful Success Mentorship Program, The Artist's Way at Work for Women, and The Passionate Path to Live Your Purpose and Make Money Doing It. Angela has an innate ability to get to the heart of the matter quickly, and our work together shifted my mindset in a powerful way. Before our session, I was seeking clarity on important business decisions, and through our work, I reconnected with my mission to encourage and support others to transform their lives emotionally, financially, and spiritually. I’ve been to some of the best in the world–and Angela is up there! by Elle Sommer at Live Purposefully Now. Call Angela for a Complimentary Success Strategy Session. Discover the biggest mistake that keeps you stuck in a life that doesn’t feed your soul. Identify what you can do right now to create more money and more meaning in your life. Walk away with a clear plan for how to design a dream life you love. It's Never Too Late. Now is the Time to Get Unstuck—and Live Your Purpose.